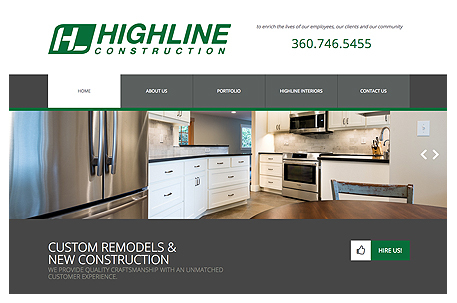 HIghline Construction is located in Bellingham, WA. They specialize in residential and light commercial projects which are complex, innovative or otherwise exacting. When you work with them you can expect that everyone from the sales, project management, interior design, and production staff will go above and beyond to exceed your expectations.